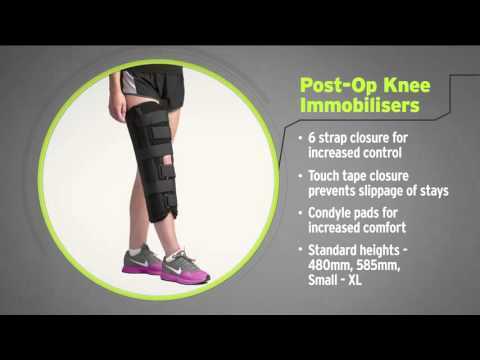 The OAPL Post Op Tri Panel Knee Support maintains the knee in full extension whilst providing mediolateral support. The device is a soft foam support with detachable panels and touch-tape closures. Features removable pre-contoured T profile, and medial, lateral and posterior aluminium stays can be customised to provide an ultimate fit and greater control. Condyle pads have been included for increased comfort. Standard sizes fit thighs up to 640mm circumference, bariatric sizes up to 900mm.